THANK YOU! The blog twitter account has hit 2000 followers and the Facebook page is over 1700, thank you so so much guys for your support, interactions and recommendations for books and book events. I started this blog to keep track of books I have read, I kept re buying ones forgetting I had read them until a few chapters in. 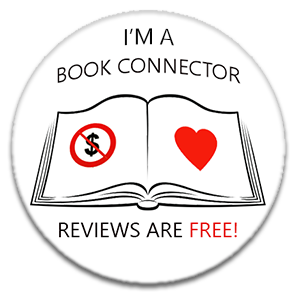 So I started the reviews to keep track and it links in with Goodreads which is awesome, so when people starting to interact, authors offered to send books, publishers and publicists reached out I was delighted and pleasantly surprised. My reviews are not literary masterpieces by any stretch of the imagination, I just write what I liked, what I didn't and recommend books to folks that I think will love them, even ones I disliked because one man's rubbish is another's gold. I have "met" so many great bloggers and bok lovers who are so supportive, been introduced to many great authors I would otherwise have missed and some absolute gems of books. So, as well as the current competition running just now, click here for details, this is just a wee additional & keeping in theme with Halloween. 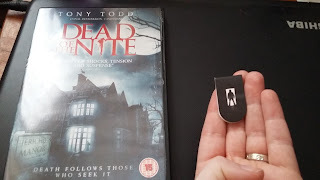 A wee dvd called "Dead Of The Night" and a magnetic bookmark, both as shown in the picture above. To enter, just head over So Many Books So Little Time's Facebook page or click here to be redirected, like the post, share and comment. I will give you a number on your comment and at the end of the week I will random generate the winning number. This competition is open to everyone, you just need to like/share and comment, that is is. Good luck if you are entering and thanks again for your continued support. Your blog is one of the most interesting bookish sites around. It is well worth visiting. These blogs do help us keep track of what we read. I once kept a spreadsheet, but now I do not need to because of the blog. I tried a spreadsheet before Brian but found it too hard to keep track, I love that Goodreads code transfers the books details, wee picture and your review. Lainy, I love how you wrote Thank you, above! Your blog is always a pleasure to visit. You are definitely an avid reader and inspire me to read more books. Thank you for the giveaway!